We offer you our services and programs that are dedicated to saving you time and effort, because we know how much you value your time. However, we will never sacrifice our focus on you and the personalized attention you deserve. It’s possible to have comfortable dental care that is both convenient and enjoyable. Here are some of the many options we offer to make it simple and more reasonable for your family to receive quality dental care. We want you to enjoy an anxiety-free visit to our office. If you experience a bit of stress at the thought of seeing the dentist, we offer both oral conscious sedation and nitrous oxide so you can breeze through your treatment. Kids of all ages love us! No matter whether you are two or a hundred and twenty-two, we focus on meeting your unique needs. No one wants to experience a dental emergency. But if you do undergo one, we’re able to fit you in the same day to relieve your distress. You’ll love how conveniently the office is located. We’re situated one block south of W. 1st North St. on W. Main between S. High Street and S. Jackson Street in historic downtown Morristown. Does your day often start before “normal” business hours? We’re happy to accommodate your busy schedule with early morning appointments. We want the paperwork to be easy. You’ll find our forms available to download. Now, you can complete these at your own pace at home, saving you time and making sure you don’t miss anything vital. No matter what works best for you, we have you covered. 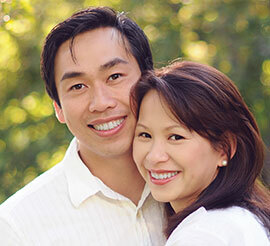 If you have dental insurance, we’ll assist you in filing for your maximum benefits. Otherwise, we accept all major credit cards and extend an interest-deferred payment option through CareCredit. We work to provide you with efficient, convenient dental visits. Call us today at (423) 586-3432 to see what we mean.